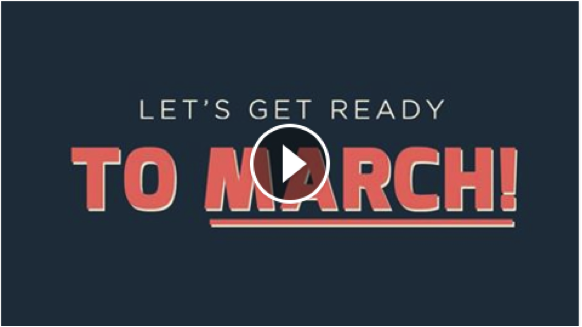 Must-have resources before you March tomorrow! The Women’s March on Washington and hundreds of sister marches are TOMORROW! We are excited, fired up, and ready to GO GO GO! Tomorrow, MomsRising will be standing up with our families, children, neighbors, and hundreds of partnering organizations to protect our rights, our safety, our families, and our democracy, and to say NO to hate. Look for our banners! 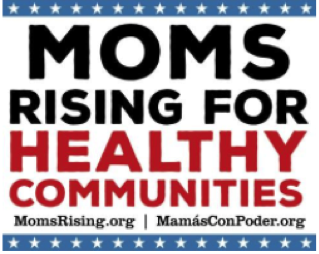 Get a FREE MomsRising Sign In-Person In DC! While we know everyone will be marching with friends and family, we’ll be there in DC giving out MomsRising free signs to carry near the start of the march! *To get a sign to carry during the DC Women’s March, meet up at 9am at Garfield Park (at the intersection of 3rd and G Street SE, which is near the start of the march) in Washington, D.C.
Want to get involved virtually? Connect with MomsRising on Facebook and via #MomsMarching and #WomensMarch on Twitter on January 21st to raise your voice and help amplify the mission of the Women’s March! Finally, you can start your Women’s March right now by joining MomsRising’s Wall of Marchers Mosaic. Text MARCH to 747464 to add your selfie! If you have any further questions that weren’t answered here, we encourage you to review the FAQ section of the Women’s March website. Whether you’re marching in person or virtually in spirit, we know that together we will protect our rights, our safety, our families, and our democracy. *****Also, DON'T MISS MomsRising's amazing moment! MomsRising Executive Director Kristin Rowe-Finkbeiner will be speaking in person at the Women’s March in Washington, D.C. If you can't be in D.C. to cheer her on in person, that's okay! Show your MomsRising love by watching the Facebook livestream that we'll be sharing on our main Facebook Page. Happy marching and thank you for all you do!